We are, therefore, in a turning point in our history and the outcome of it is still unknown. We still have some time though to deal with the uncertainty, or at least to try. This year’s summit was focused on the gender disparity gap in all areas of society with all major leaders addressing the problem along with the big three issues the world is facing right now: climate change, terrorism and the backlash against globalization. But yet again, all lights were turned towards the ongoing economic trust. Capitalism itself is experiencing massive changes as it hasn’t fully recovered since the last great crisis of 2008 and maybe is now changing into Post capitalism… With Europe still trying to figure out Britain’s divorce and Europe Central Bank austerity policies, new economic waves have emerged and are challenging the current system. In this matter, much was said in Davos. Basically, there were two major changes that can shape the future or are about to change it. To start with, big data and AI are seen as a major disruption within the production stages with a high impact on public opinion. Whether it will be fully implemented this year or in the years to come is still a big question. Some leaders still haven’t figured out how to pay those who are at risk of losing their jobs because of robotics. On the other hand, what became mainstream last year, Blockchain and their cryptocurrencies, was subject to lots of attention. It seems likely that all countries around the world should have to embrace this new technology as its own nature (open and decentralized) goes along with most people’s will. While cryptocurrencies are uncertain as they challenge central banks and national sovereignty in monetary policies, what all experts are sure of is in how useful the Blockchain back-end technology is. 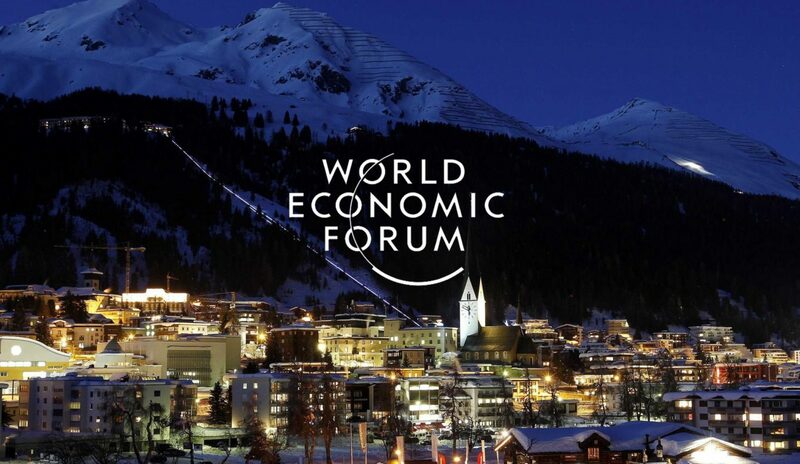 As it was said in Davos, Blockchain can’t be ignored any longer. It is here to stay. Hernaldo Turrillo is a freelance journalist working now for IntelligentHQ. Hernaldo was born in Spain and finally settled in London, United Kingdom, after a few years of personal growth. Hernaldo finished his Journalism bachelor degree in the University of Seville, Spain, and began working as reporter in the newspaper, Europa Sur, writing about Politics and Society. He also worked as community manager and marketing advisor in Los Barrios, Spain. Innovation, technology, politics and economy are his main interests, with special focus on new trends and ethical projects. He enjoys finding himself getting lost in words, explaining what he understands from the world and helping others. He was born journalist and became a thinker. Knowledge has no limits. Windows VPS vs. Linux VPS: What is the Difference?